They say there are no more good guys; that nice guys finish last. Soul singer/songwriter and actor/producer Bradd Marquis lays these myths to rest with the release of his third independent album release, Thank You. Enchanting audiences with his 2007 album debut, the critically acclaimed Finding My Way and its 2011 follow-up, Authentic, Marquis projects the kind of clean-cut, old school charm unseen since the days of Sam Cooke. The spiritual troubadour with the pulse of the common man, Marquis strums the pains, feelings, and thoughts of that brother who struggles to find the words to say. Towering, boyishly handsome, and boasting a baritone dipped in the gravel and gravy of Southern soul, Marquis is one of the streets and the steeple. A committed man of dedicated faith and community service, Marquis is the anti-thesis of today’s R&B bad boys. Like his inspirations, Marquis started his stage life in front of the pews. Deriving from a rich family legacy of performers that includes blood ties to Phyllis Hyman, Debbie Allen, and Phylicia Rashad, Marquis traveled as a child performer in the “Family & Friends” gospel troupe. He rocked the church with preternaturally grown vocals until high school. A star-turning performance at a college show returned Marquis to music and later membership with the R&B quartet, Mass Appeal. Soon joining up with Babyface’s production team, Marquis further refined his music and engineering skills, working with future Finding My Way producer, Jeremy “Cochise” Ball, Thank You producer, Angelo Ray, as well as the legendary Gerald Levert and the Rude Boys. Soon after, Marquis’ indie mixtape, All Love, All the Time, dropped in 2006, opening more doors. Signed to a production company, it wasn’t long before a 25-year-old Marquis was releasing his 2007 debut LP, Finding My Way (Quiet As Kept). Breaking through NYC airwaves with the regional R&B hit, “Radio,” Marquis booked Apollo Live and multiple guest spots on both BET’s 106 & Park and Showtime at the Apollo. Named Soul Singer of the Year by 106 & Park, Marquis landed the Soul Summer Tour and Budweiser Superfest tour where he traveled as the stable opening act for Jaheim, Tamia, India.Arie, Blue Magic, Frankie Beverly & Maze, Gordon Chambers, and Hal Linton. Marquis also toured as “Adam” in Oscar Brown Jr’s musical fable, In De Beginnin’. Additionally, Marquis starred in videos and wrote music for artists in New Zealand where Finding My Way hit. 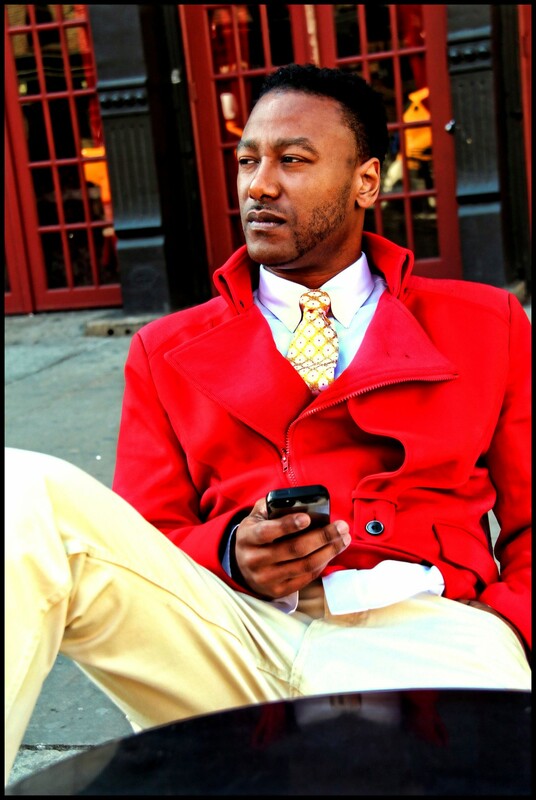 Marquis lyrical prowess soon scored song placement on projects by Styles P, Ethical, Young Sid, and Sly and Robbie. In 2009, Marquis independently released the FMW2.5 mixtape. While Marquis debut and mixtape told of his broken engagement, 2011’s Authentic was more introspective. Moody blues and torch ballad rich, Authentic was a raw, transparent portrait of a man struggling with hard decisions at life’s crossroads. Singing about broken families, lost love, and the roughness of the industry climb prompted Marquis to take a hiatus to make peace with family, study, and re-discover his spirituality and church. “I had to figure out how I fit, whether I wanted to sing gospel or R&B. I studied songwriting books to write better songs. There was a lot of trail and error to find what meshed with my spirit,” says Marquis. Largely written and recorded in five days with sole producer Angelo Ray, the more up-tempo Thank You is a love letter to everyone who stuck by and loved Marquis through his turmoil and evolution into manhood. Straddling the line between the secular and spiritual, Marquis writes honest material of life and love lessons. With upbeat, melodic, and undeniably soulful party music, Marquis returns with his most assured set to-date. With unvarnished musical illustrations of an artist stripped of both ego and mask to reveal the interiors of his heart, connecting with a testimonial soul that both teaches and reminds listeners they are not alone all makes Bradd Marquis the everyman’s soul man for this generation.